We’re Back! And Welcome to We Hunted the Mammoth 2.0! Welcome to the new, improved We Hunted the Mammoth! We’ve moved from WordPress.com and replaced the old WordPress theme with a streamlined custom theme. And we’ve been able to implement a number of long-requested features that will make navigation easier and commenting more pleasant. In related news, the Blockquote Monster has resigned to spend more time with his family. Moving a blog with 2471 posts and 573,557 comments (yes, really) to a new server is a messy job. 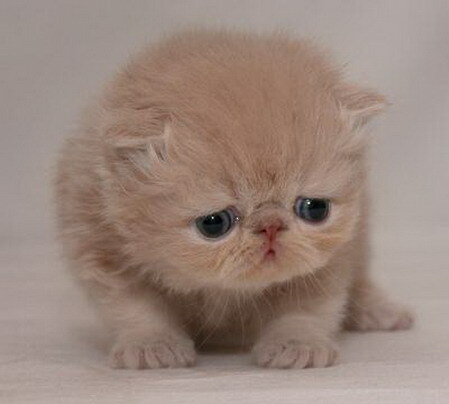 We were offline for longer than we expected while we tried to get all the old content up. And we’re still sorting through issues with plugins and widgets and so on. If you notice some weirdness going on please let me know in the comments below. Or send me an email. And let me know what you think of the new features. HUGE HUGE HUGE thanks to Tracy Bradley, who handled the redesign and the big messy move and dealt with all the technical glitches that came up. For free. Without her help the new site would look crappy and not work and my head would have exploded from frustration about a dozen times. Hire her for stuff! I’m liking this on my Thinkpad running Unbuntu. Haven’t looked at it on my Android phone or PC yet, though. Just posting so I can get out of moderation. Since I can’t sign in with my Twitter account any more, it’s like I got a whole new identity. Hey, my tablet has finally decided to let me see the site! It looks good! And no one will ever be able to say they didn’t see the comment policy again. I agree that the font size (especially commenter names) is really big. But it seems to load fine in mobile, when the old site frequently lagged out. I too hope that nested comments are an error because I’d thought we agreed that we really didn’t want that feature. Looks good, David — big and bold, like a mammotheer should. The buttons, including edit, are an especially welcome feature. If you are looking for an inspiration for a future post, may I suggest heading over to Dalrock, where even more than usual retrograde moaning commenced after the decision to open all combat positions to women was announced. Like Eve in Eden, women are envious of a position they don’t have, and are grasping for that which they should not grasp. The comments are equally, erm, good. Seconding the “Bring back top posts” — or maybe getting rid of the random post sidebar? I don’t know why it’s annoying me so much, but I’m finding it very distracting. Not that I want to erase the privileging of the glorious history of WHTM. I don’t think I’d mind so much if it was just the thread titles, and not their images. I’m so happy that the comments now have pages so you can easily start at the beginning or move around. I’ve been wanting that as long as I’ve been on this site. @Mizuki: The comments section has always had pages though? : ? Unless you mean that we can now see page *numbers*. PI — it used to just be next/previous, which got annoying when, say, a certain troll of infamy spent 17 pages on the word “vile”. Or the more common knowing you were on page two of the comments when you went to bed and then having to click previous until you got there. Well done, David! Well done. Just testing to see if I am moderated. All this feedback is really handy, though it’s going to take a little while to get all the glitches sorted out and maybe experiment more with some of the other options. I’m going to get rid of those reply boxes under each comment; they screw with the way comments have traditionally worked here. I’ll see what can be done about font size on mobile devices, maybe reduce the font size overall (though I definitely like having bigger fonts than on the old site). I’ll see if I can get images to embed like they used to. I can definitely add top posts to the sidebar again; I wasn’t sure anyone used those. The recent comments sidebar shows a LOT of recent comments. Would it reduce the usefulness if I reduced the number? I’ll also be adding a little blogroll. Fixing things for every mobile device could be tricky, but we’l try. If you’re having issues that render the site really hard to use on your device, definitely let me know and we can prioritize that. Speaking only for myself, I think the number of recent comments on the sidebar is just about right. If anything, I’d see a few more. I’m stuck under a cat loaf (our former stray is such a lap cat!) so I’m on my phone and the site lacks a right margin. Not the black edges, those are there, but the white main background has no right edge, no padding/margin. It’s useable as is, just really disconcerting. Okay, I got carried away. I like seeing lots of Recent Comments. Is there more information per entry now? It’s okay; I was just curious as to why it seems different. Thanks for getting rid of the Reply button. Oooo, this is nice. Like the larger font for, er, mature eyes! Hmm…this may take a while to get used to! I’m late to the party because I got emails from WordPress when new posts came out and I wondered why I hadn’t seen any. Shoulda looked earlier! I know there’s a lot of pressure to change format but don’t think this one works. Sure if you are going for commercially related blog. Happy for you if it works out and you get more hits etc. Not working on my platform at this point in time. Takes too long to load and when it does it doesn’t grab you like it used to. This is a tight, clean redesign. Well done. However, miss the quick links to silly reddit stuff. Creepy pms always cheers me up in the morning. The page numbers at the top are showing 3 pages while the bottom is showing 2. Page 3 is empty if you click on it. Currently there are 118 comments on the thread. Edit kicks you out if the time expires while you’re editing, just fyi. I looked at 2 other threads that were 68 and 92 comments long and both showed 2 pages for both the top and bottom page navigation. Also, when I first come into the comments, the top page navigation has 3 highlighted and the bottom has 2 highlighted. If I click on 2 in the top navigation, the page is refreshed with the same comments displayed, and if I then click on 3, that’s when it’s an empty page. This is just to say thanks for intending to bring back the blogroll. I was gonna ask where it went — I hooked up with some good sites that way. Also thanks for existing and stuff. Kupo, yeah, I’ve noticed that glitch with the page numbers; hopefully there’s a fix for that, though the plugin seems to be configured correctly and I’m not sure why it’s screwing up. OK. Nevermind, I see it now! 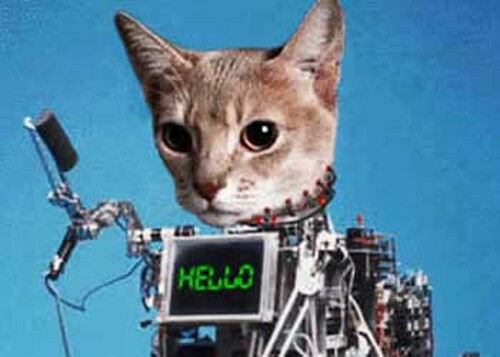 Does that cyberkitteh in the article’s photo have the gantry from Launch Complex 39 as part of its cybernetic implants? IMPRESSIVE! Nice site update, BTW. I really like the “random posts” section. Oh, and I’m new. Hi! I am loving the random posts. I’ve only been lurking for around a year, so it’s a great way to read some of the older stuff. This is Tracy, testing image embeds! I’ve got the opposite problem, on my laptop — teeny-weeny text as a default. And hurrah! The edit button works, and I can comment!